The impact of partnering with Earthwatch is evidenced by the way we engage workforces, promote company values, create competitive advantage, and enhance employee competencies. Earthwatch is an international organization with a presence in over 35 countries. We have a proven track record of delivering major partnerships in multiple global locations. British American Tobacco - BAT recognized that sustainability of farming communities and supply chains depend on biodiversity and ecosystem services. Using a Biodiversity Risk & Opportunity Assessment tool, BAT was able to begin addressing sustainability issues at a landscape level with stakeholders in 20 countries. 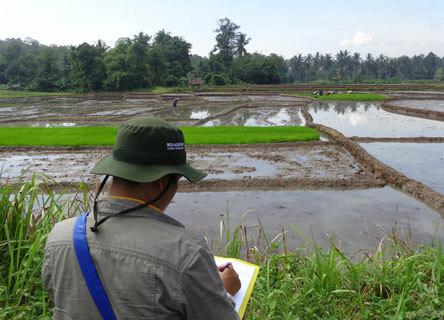 Corporate employee assessing biodiversity risks and opportunities for an agricultural supply chain. Earthwatch joined the World Business Council for Sustainable Development to capture the idea of natural capital – the value nature provides to business.